As Mother’s Day approaches, reflect on Mary’s maternal care and her promise to obtain the blessings of her Son Jesus for all who ask. Send me your petitions and the names of your loved ones to be remembered here at the Shrine. 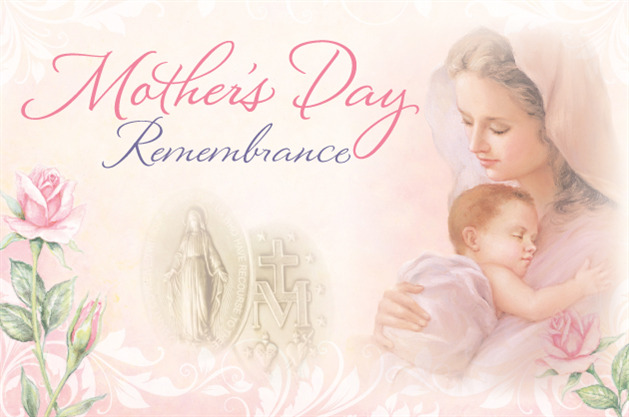 The Association has a new Mother’s Day card which includes a prayer for the one who receives it, a remembrance in the Association’s Mass on Mother’s Day, May 12, and throughout the month of May. Read Fr. Kevin’s inspiring Mother’s Day message about Saint Catherine Labouré, the loss of her earthly mother, and her spiritual relationship with our Blessed Mother.